/ How Much Cash Will A Smart Thermostat Save YOU? All the fancy smart thermostats on the market look great and promise to save you money. But, are they really the energy misers that they claim to be? And, at a price that is several times more than a typical programmable thermostat, is it really worth it? 1 How Much Is The Average Savings With A Smart Thermostat? 2 How Does A Smart Thermostat Save You Money? 3 Can I Still Save Money If I Have A Heat Pump? 4 Will I Save With A Boiler? 6 What Other Benefits Do Smart Thermostats Offer? 7 So, Is A Smart Thermostat Really Worth It? How Much Is The Average Savings With A Smart Thermostat? A study by Nest concluded that customers saved an average of 10 to 12 percent on heating costs and 15 percent on air conditioning costs. This isn’t just some throwaway study done by Nest to make themselves look good either. 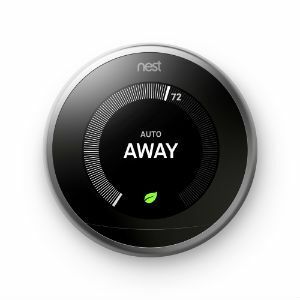 In fact, there have been two more independent studies of Nest thermostat usage that found similar savings. Another leading smart thermostat, the Ecobee3, makes some bold claims on energy savings. Ecobee claims that their Ecobee3 can save you up to 23% on your energy bills. Their claim is based on a household that leaves their current thermostat set to a constant temperature of 72F year round. This calculator will give the most accurate estimate but requires the most input. It will give you a great idea of how much you can save. The savings calculations are based on your current temperature settings compared to how you intend to change your settings in the future. Nest provides a simple calculator that is quick and easy. However, the estimated savings it gives will be a really wide range. Scroll down the page about halfway to find the calculator. Honeywell provides a calculator too. It allows you to set custom heating and cooling schedules. It compares your custom schedule to an average customer schedule for its savings calculations. A smart thermostat isn’t some mystical device that changes the laws of physics in order to use less energy. The only way to spend less is to heat or cool less. It will save you money by setting temperatures higher during cooling and lower during heating. That’s it. Pretty simple, right? The smart part is deciding when to do it so you don’t notice. It’s always on watching when you leave and when you come home. It sees you when you’re sleeping, it knows when you’re awake, etc. And, the best part is it doesn’t forget and it doesn’t get lazy. A typical home in the US can reduce heating and cooling costs as much as 10% by turning the thermostat back 7°-10°F for 8 hours/day from the usual set point. Although this simple setting can be done with just about any thermostat, it turns out that many people don’t do it. A recent study found that almost 50% of households that own programmable thermostats don’t set them up properly. It might be because they forget, they don’t know how, or they just don’t want to be hassled with it. Regardless of the reason, a smart thermostat never forgets, always knows how to adjust your temperature, and always cares because that is exactly its purpose and that is how it saves you money. Are you a set it and forget thermostat operator or do you micro-manage your thermostat? have a manual thermostat that tends to stay set to a single temperature 24/7. If you are already the thermostat micro-manager, then you will probably not experience much savings with a shiny new smart thermostat. However, that doesn’t mean a smart thermostat is completely useless to you. There are other benefits that may prove it to still be a worthwhile investment. Can I Still Save Money If I Have A Heat Pump? Before the smart thermostat era, programmable thermostats were not recommended for use with heat pumps. Heat pumps take a lot longer to heat or cool a space compared to conventional heating equipment. In order to make up for this, most heat pump systems are installed with an auxiliary electric resistance heater that is designed to kick in during extreme weather events when the heat pump system alone cannot keep up. Unfortunately, the auxiliary heater is much less efficient than the heat pump. Therefore, it is best to avoid using the auxiliary heat whenever possible. 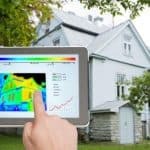 If you try to use a conventional programmable thermostat with a heat pump, it will tend to trigger the inefficient auxiliary heat unnecessarily and therefore possibly end up costing you more money. Fortunately, the new breed of smart thermostats can anticipate this sort of dilemma. Thermostats like the Nest and Ecobee3 can start the heat pump up to 5 hours early so that you can reach your desired set point at the correct time using only the heat pump. Will I Save With A Boiler? A boiler system will continue to heat your space for a short period after the boiler is shut off. It will also take an uncomfortable amount of time to turn back on and heat up when the temperature dips below the set point. Without proper control, this will cause a yo-yo effect on the temperature. Your house will be constantly switching from too hot to too cold. 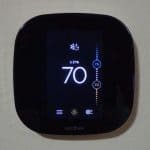 If you have electric baseboard heat or electric floor heat, you’ve probably had a hard time finding a smart thermostat. None of the most popular thermostats work in these high-voltage systems. It requires a special line voltage smart thermostat. Since pure electric resistance heat is expensive, the savings from a smart thermostat can add up in a hurry. What Other Benefits Do Smart Thermostats Offer? I know this article is supposed to be about the amount of cold hard cash these thermostats can save, but I think it’s worth considering other benefits. Different people place different values on things like convenience and comfort. But, just because we can’t put an exact number on it doesn’t mean they don’t have some monetary value, right? In another Nest study, over 60% of the participants said their houses became “somewhat more comfortable” or “much more comfortable” while using the Nest learning thermostat. I put a big premium on comfort in my home. Even if I end up breaking even on my energy bill, I would still consider it a net positive if I end up being more comfortable. Another important aspect of the energy saving smart thermostat is convenience. In the best case scenario, you will be more comfortable, save money on your energy bills and it will all be done automatically. How convenient is that? You no longer need to remember to turn the thermostat down before you go to bed. I live in the Midwest and there are many Spring and Fall days that my HVAC does not run. If my HVAC does not run, then my ventilation fan doesn’t run either. With a smart thermostat, I can also control my ventilation fan and automatically have it turn on to circulate air on those mild days. It increases comfort and does it conveniently. So, Is A Smart Thermostat Really Worth It? A smart thermostat can save some energy for all but the most dedicated thermostat micro-manager. However, if you are buying the thermostat with the hope of it paying for itself through reduced energy bills, you may end up disappointed. But, if you consider the convenience and comfort benefits, it should be easy to justify the added expense of a smart thermostat. That’s fantastic if 60% of participants benefitted from the thermostat. I just barely had my home built. I’m still trying to decide what type of heating I want. I may just go with a furnace to make it easier. The thermostat would be a nice addition. Wow! I never knew that a smart thermostat could be this efficient. It is a one-time investment and hopefully, can help in saving me a lot of energy and money. 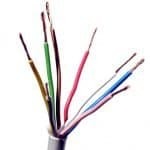 It will help increase the efficiency and will make things easier in the long run. Thanks for sharing!